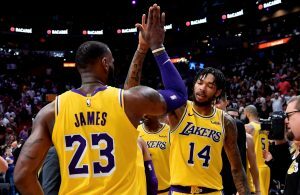 The Los Angeles Lakers came up with a huge victory on Saturday night as they trumped the Portland Trail Blazers 114-110. 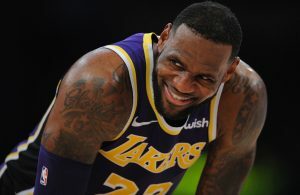 A big part of that was due to the play of Lakers point guard Rajon Rondo, who finished the night with 17 points, 10 rebounds, six assists, and three steals on the evening. 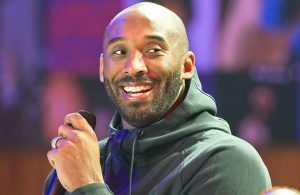 However, the feisty point guard showed his not-so-pleasant side in the fourth quarter, when he got into a chirping match with a female fan, who apparently was walking on the court on the way to her seat. The fan seemed to say something to Rondo as she walked by, and the point guard is not known to keep his mouth shut during any type of altercation. Perhaps the fan was simply upset at the beating her team took due to what was perhaps Rondo’s best game of the Lakers young season. Or maybe she just wanted some attention from the game’s most valuable player on the evening.